For Hubby's Salad Nights, one of the ingredients we would add to his salads were these roasted peppers. They are also great as an afternoon snack. 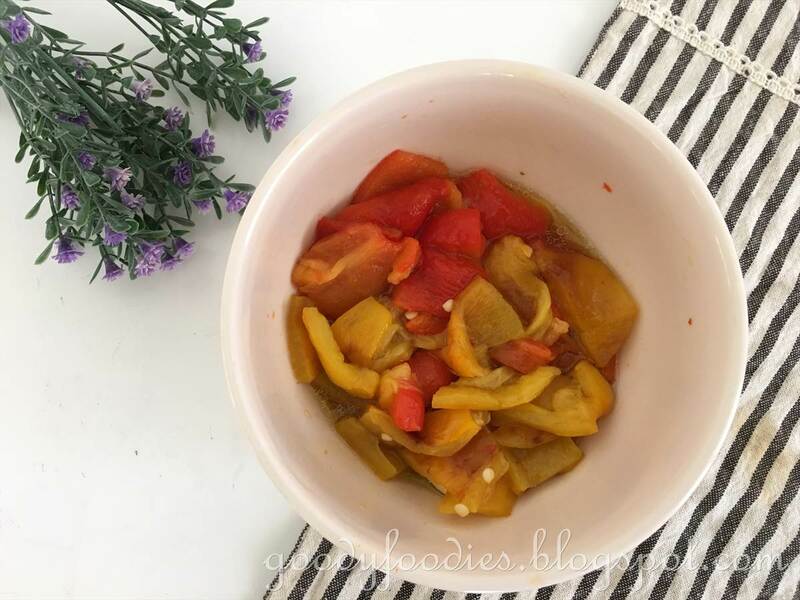 Roasted peppers is also a popular tapas in Spain - add some capers and olives to make a roasted pepper salad. Roasted peppers - great in salads, as a snack or tapas. 1. Preheat the grill. 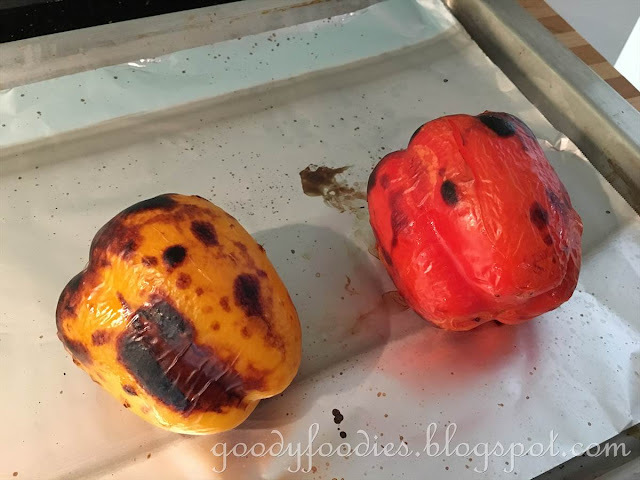 Place all the peppers on a wire rack or grill pan and cook under the hot grill for 10 minutes, turning them frequently, until their skins have blackened and blistered all over. 2. Remove the roasted peppers from the heat, place them in a large bowl and immediately cover tightly with a clean, damp tea towel. The steam will help to soften the skin and make it easier to remove them. Leave the peppers for about 15 minutes or until they are cool enough to handle. 3. 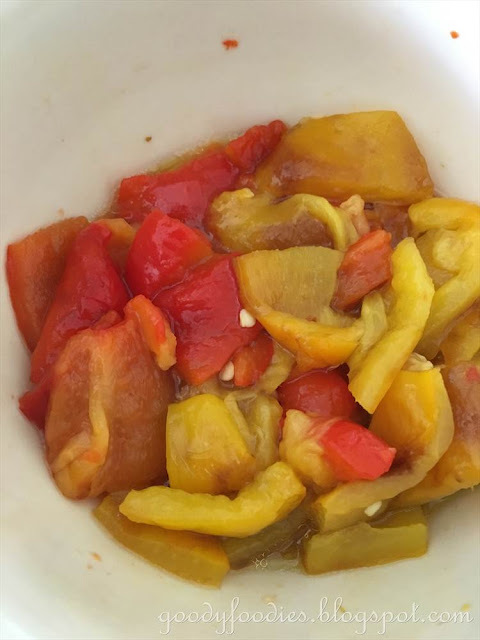 Holding 1 pepper at a time over a clean bowl, use a sharp knife to pierce a small hole in the base and gently squeeze out the juices and reserve them. Still holding the pepper over the bowl, carefully peel off the skin with your fingers and discard it. 4. On a chopping board, cut the peppers in half and remove the stem, core and seeds, then cut each pepper into thin strips. Place the pepper strips in a bowl. 5. Add the olive oil, lemon juice, garlic, and sugar to the reserved pepper juices. Season with salt and pepper, to taste. Whisk together until combined, then drizzle the dressing over the peppers. Peppers are one of the most important ingredients for me. 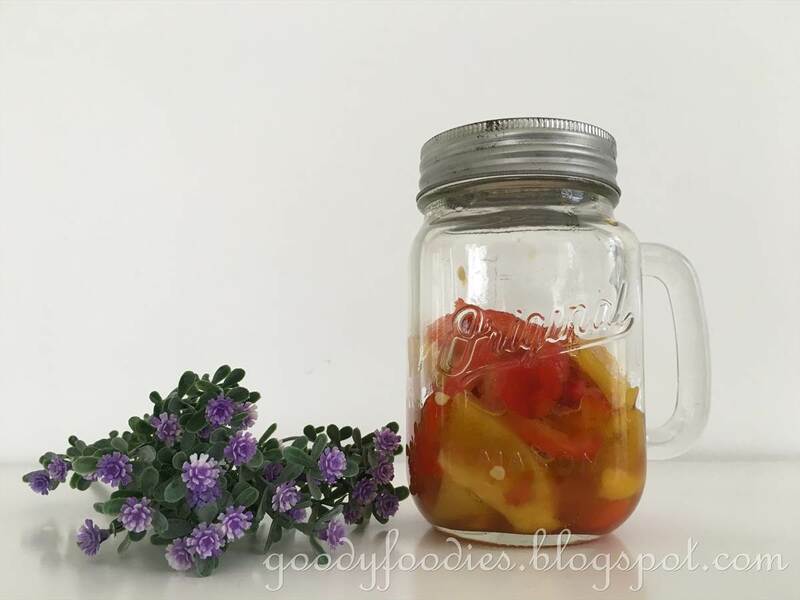 Thanks for sharing your idea of roasted peppers!